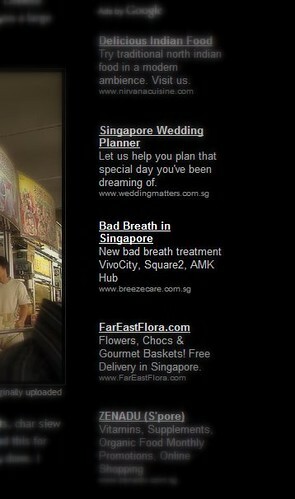 Google Ads - Bad Breath in a Food Blog?, originally uploaded by Camemberu. I've been looking curiously at the Google ads on my blog. Since they're based on keywords found here, they should turn up some related and interesting links. Yes, there have been the usual food/drink/restaurant related links. Yes, the "Lose Your Belly Fat!" ads too. Occasionally some odd ones like Suzumo sushi robots (whoa), Nepalese Tibetan Buddhism schools and a fish spa (oh look, their website features a video showing Xiaxue and her mom trying out the fish-nibbling exfoliation)! I hope you find some fun ones to click on too. 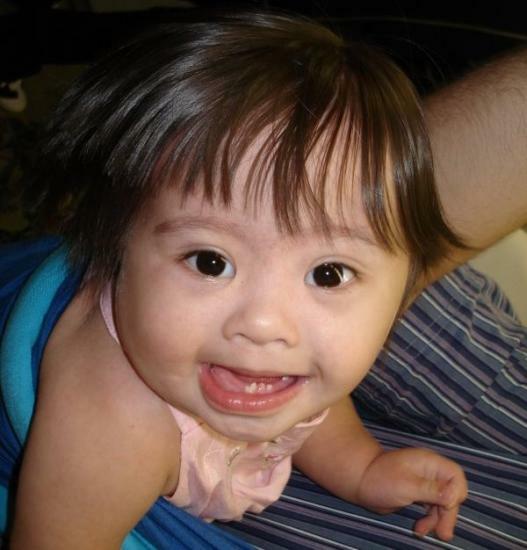 That will also contribute a few cents towards my baby girl Nadine's milk powder fund! hmmm it knows the food has lots of garlic? LOL. Ladyironchef: ah pity! The ads are fun! LOL! how long have we been communicating already? hahaha. Lady/Brad, I'll have to change my mental voice of you when reading comments from you! Lower it a few octaves, perhaps! And now I can't get Little Britain's Emily Howard's voice out of my mind "I'm a LADY!"